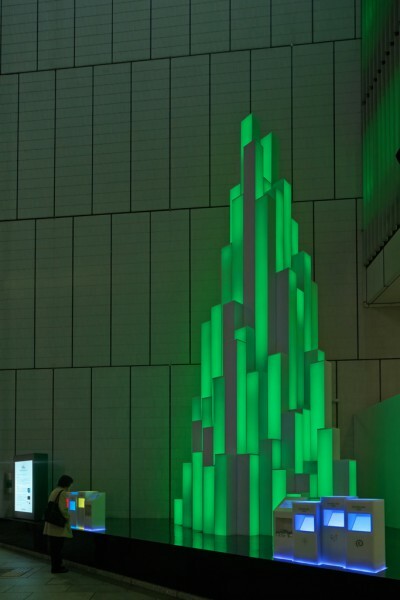 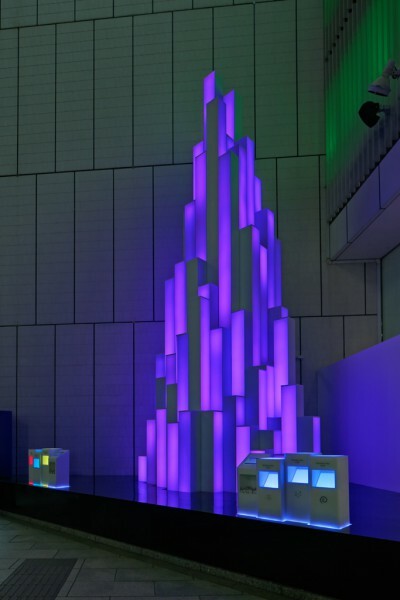 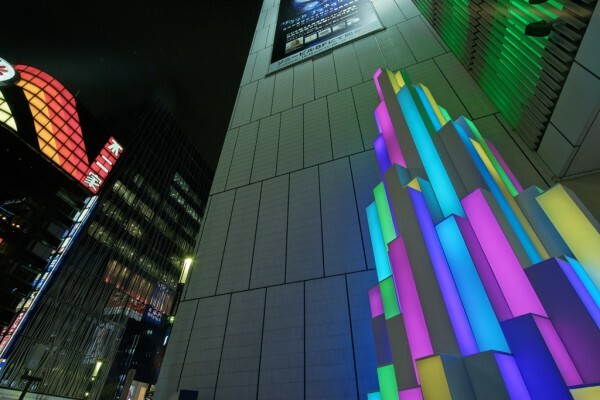 Building site: Ginza Tokyo Sonybuilding Event Space "Sony Square"
For the second consecutive year, we designed the Crystal Aqua Trees illumination for the “Ai no Izumi” (Fountain of Love) charity drive which has been held for 45 years in Sony Square Ginza. 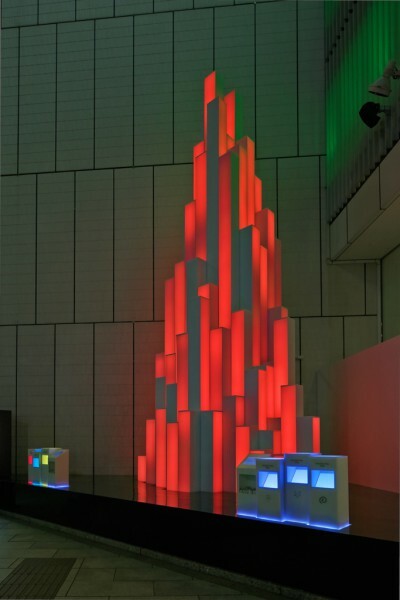 We were tasked with reusing the structure of pillars of light illuminated by an LED light source that changes colors and pulsates, which we reorganized from last year's semi-circular configuration into a volume at the center of the square. 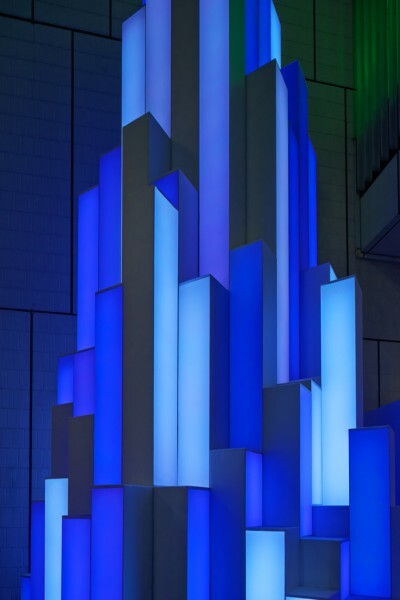 We experimented with a three-dimensional structure evocative of a luminous crystal by randomizing the direction of light-emitting surfaces. 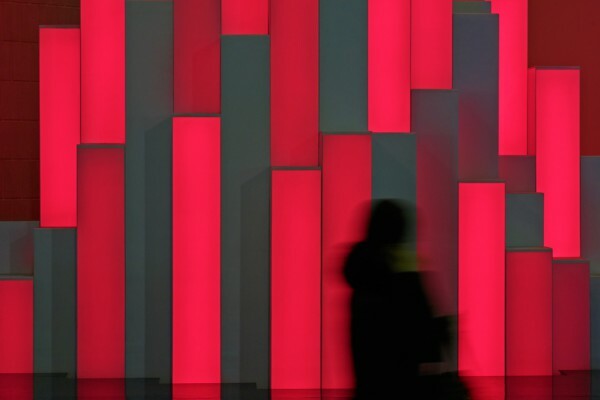 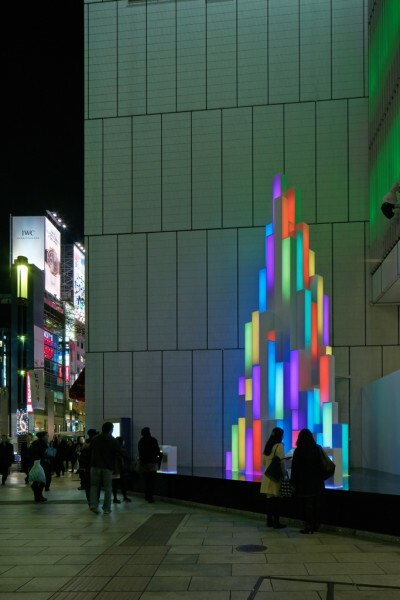 The resulting three-dimensional luminous object can be admired from various directions while strolling around it, without imposing a specific vantage point. 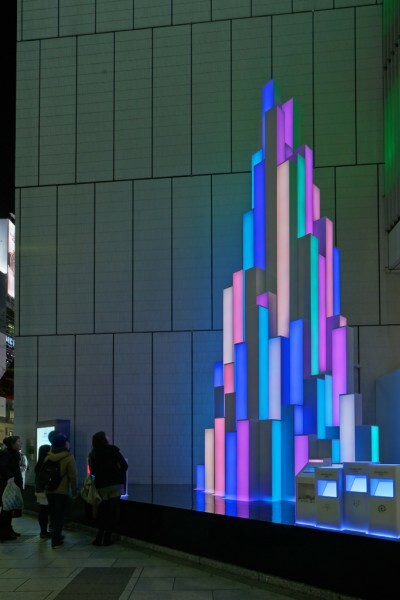 Furthermore, by inserting a coin into one of the six donation boxes placed on each side of the Sony Square it is possible to control the show of lights according to the color or pattern of light assigned to each slot. 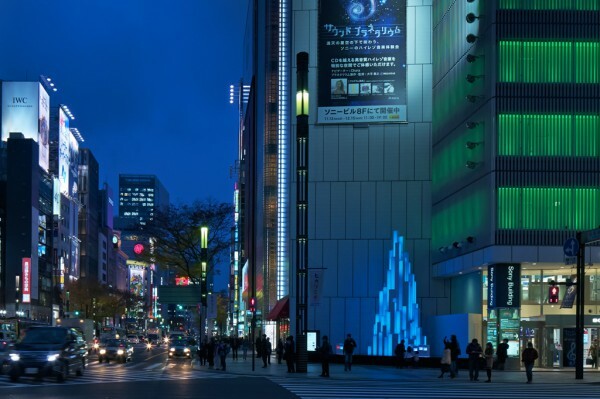 Since every donation elicits a direct response, everyone can not only contemplate the voluminous crystal, but also engage with it as an interactive display, thereby embellishing the streets of Ginza.